THE corrupting influence of the patent ‘industry’ (notably law firms) is often mentioned here in relation to the USPTO. It also appears as though the patent ‘industry’ has leverage over Battistelli, which helps explain the EPO‘s suicidal (self-destructive) path. We’ll write about that later today. “…we have a pretty good idea (and record) of who lobbies who, when, and what for.”Over the years we wrote about 200 short posts or long articles about patent policy ‘down under’, especially as it relates to software patents in New Zealand and in Australia (IPONZ and IP Australia, respectively). This means we have a pretty good idea (and record) of who lobbies who, when, and what for. In this first of two “patentable subject matter” articles, I will consider IP Australia’s proposals in relation to the introduction of an objects clause and its seemingly significant potential impact on Australia’s patent eligibility threshold. The next stage in the introduction of an objects clause into the Australian Patent Act will be the preparation of an exposure draft of the legislative amendments together with a draft explanatory memorandum on the intended purpose and interpretation of the objects clause. 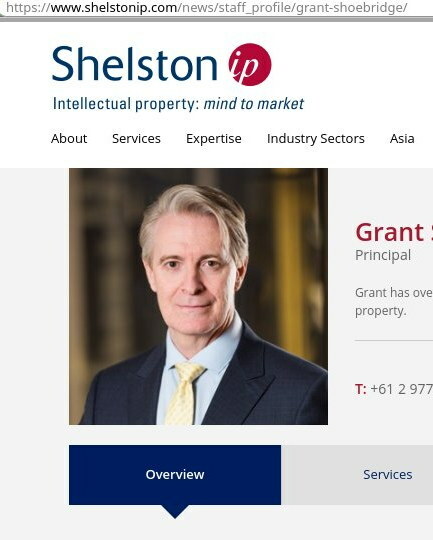 Given the current substantial uncertainty that exists regarding how the proposed objects clause will be implemented, this draft legislation will be keenly anticipated and Shelston IP will keep you advised of developments. Notice that last sentence; these people actually believe the law exists just to serve them and it’s for them to decide on. How arrogant an assumption. They don’t even produce anything.